This is another idea, that came from World Book's Childcraft, The How And Why Library. These are older books, but a the public library might carry them, and I've seen a volume, or two, on Ebay. The volume we are finding the most useful is, "Make and Do". It has so many fun ideas, I'm not sure a person would need another craft book for children, at all. 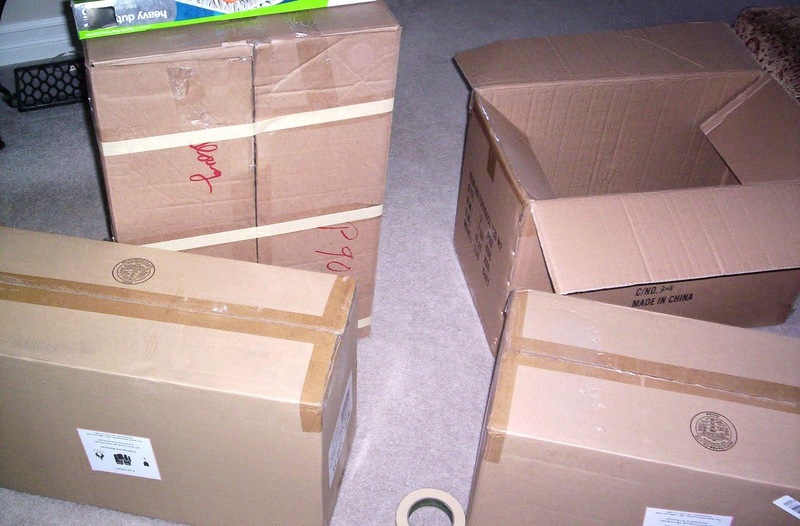 This particular project requires four cardboard boxes of similar size. At least two of them need to be big enough for a child to sit in. The periscope is optional. You can find instruction for making one, all over the Web, so I won't bore you with the details, but we used an empty tinfoil box, and a couple of small mirrors for ours. 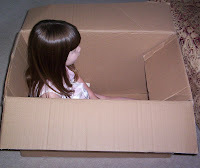 The boxes are lined up to form the submarine, with the box on the end left open on the top, and cut open on the end, that touches the next box. The second box, is turned on it's end, to form the tower, and cut open on each side, where it meets up with the other boxes. 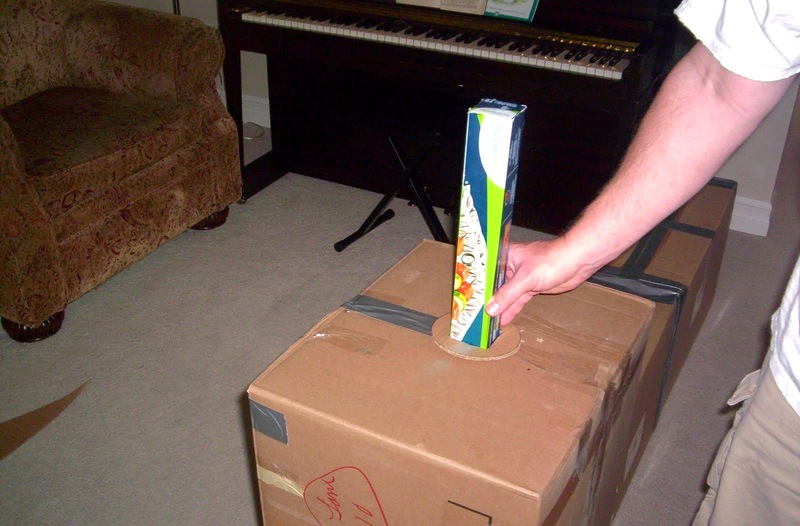 The final two boxes, are also cut open the ends that touch, but they are taped closed on top. Once all of the boxes are cut, fit, and taped together, you can add the end cones. They are cut out the extra cardboard from the boxes. Two sides are cut for each end of the submarine, taped on, and then together (see the pictures below). Then, the gap on top is filled in with paper, and duct tape. The periscope fits in the top of the tower. 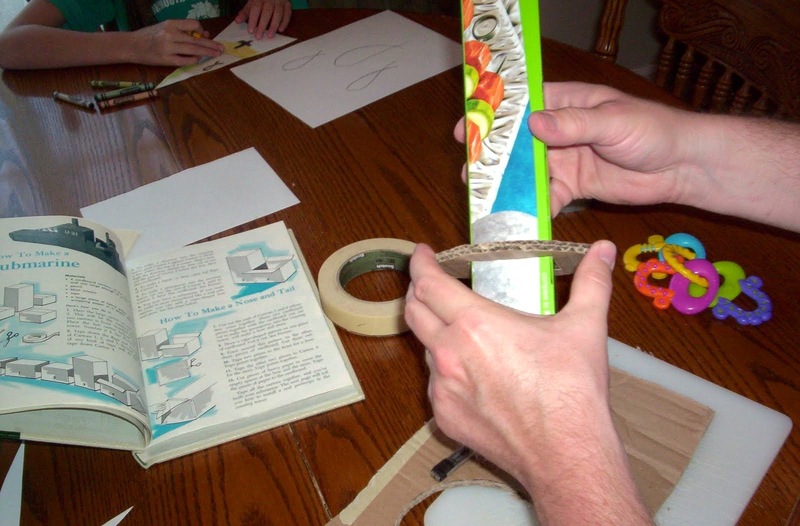 We used the inside of a roll of masking tape, as a guide to draw, and cut a circle in the top of the tower box, that was just big enough for the periscope to fit through. 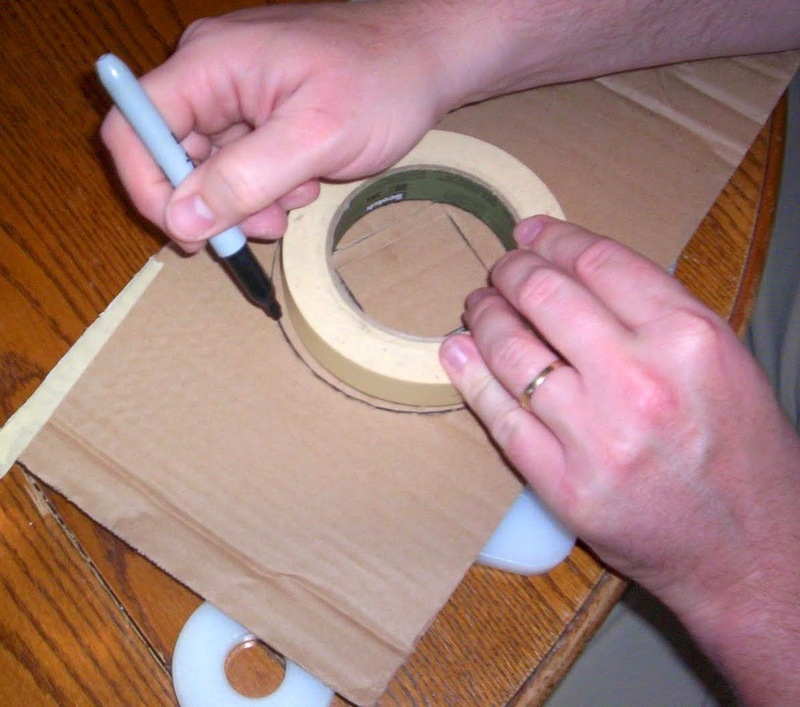 Then we used the outside of the roll of tape, to cut a slightly bigger circle out of extra cardboard. 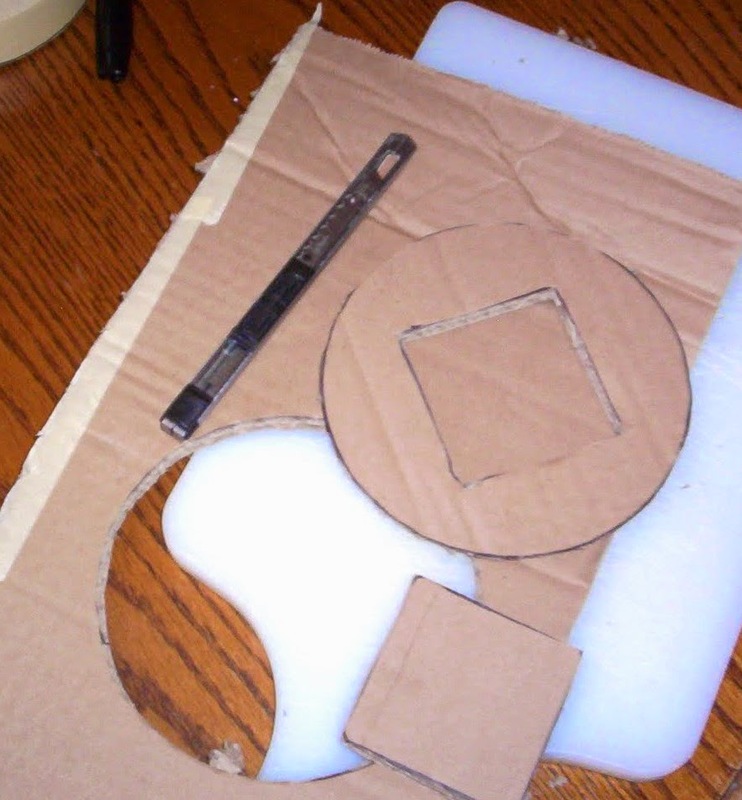 We cut a square, out of the center of the larger circle, that fit the periscope. We secured the cardboard circle to the periscope with tape, and then the entire thing was placed into the hole in the submarine. At this point, the submarine could have been painted. But, we opted to add on a few kid decorated flags, attached to a piece of twine, and call it good. There's no point in getting too fancy. The children love it - which means it won't last long. Wow, that turned out awesome, I love it! What a fun book, I'm going to have to keep my eye out for it. Thanks so much for sharing your shipyard, I'll be linking. congratulations on being featured on the other blog.